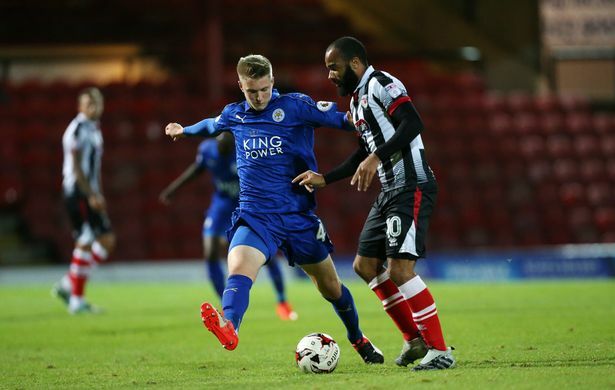 Leicester City have called up youngster Josh Knight to the first-team for Tuesday night's Carabao Cup tie against Sheffield United due to lack of centre-back options. According to the Leicester Mercury, both Wes Morgan and Robert Huth are set to miss the game with Morgan struggling with a back problem he picked up during Leicester's 2-0 win over Brighton, and Huth still not fully recovered from ankle surgery he had during the summer. As a result, Knight - who scored the winner of Leicester's under-23's in Premier League 2 against the defending champions Everton last week - looks set to get his first taste of first-team football. The Foxes will only have Harry Maguire, Daniel Amartey and Yohan Benalouane available to play, and with an away trip to Manchester United at the weekend in mind, it looks as if Craig Shakespeare will have little opportunity to rotate his defence. Shakespeare told the press ahead of the tie: “Wes will not make it. He’s still got a slight back problem. I don’t want to take a risk with him tomorrow. He will come in and train as normal and, hopefully, he will be okay for Saturday. “It is a different area (to the back injury that ruled him out of the end of last season), so we are hoping with physio and treatment on there that he will be fine. “Huth is a no. He needs a bit more time. We don’t want to push him too soon. He has done some training sessions, he played last week for 60 minutes (in the under-23s’ 1-0 defeat to Manchester United), but he could do with another game before he goes into first-team competitive football. “Josh Knight is in the squad for tomorrow, a young centre-back come right-back. He’s tall, athletic, aggressive and can play out from the back. I was impressed with him last season so I’ve drafted him in and he will be included." Leicester face further problems in midfield, after Shakespeare also revealed both Danny Drinkwater and Vicente Iborra look doubtful for the trip to Bramall Lane. He added: “Drinkwater hasn’t done enough, although he trained on Friday and Saturday, and trained today. I think we need to get a bit of training in him. Leicester will be hoping they can progress without further injuries ahead of their big Premier League clash with Manchester United on Saturday evening.